How I Went From Atlanta SEO Consultant To Multi-Million Dollar Atlanta Real Estate Company Owner and back again. I graduated from Georgia Tech in the heart of Atlanta about 15 years ago. During this time I did digital marketing and web development as a freelance contractor (before anyone coined the term SEO Consulting). My specialty has always been with technical SEO and UX. IF you remember, 2002-ish is when the “dot com” bubble burst and I went from immediately having too many clients to no one. I began competing with SEO consultants and web marketers from India, Pakistan and other places. At the time companies were firing and outsources so fast and furious they weren’t taking the time to see who was the best SEO company but rather who was the cheapest. I got my real estate license and starting generating leads using my SEO skills and applying them to real estate SEO. I took on a few clients from time to time in the Atlanta SEO market but only just because I love this stuff! Now a full 15 years later I’m taking all the experience as a small business owner that I fueled with purely organic SEO efforts and using those same SEO tactics and tools for Atlanta based companies (as well as worldwide). 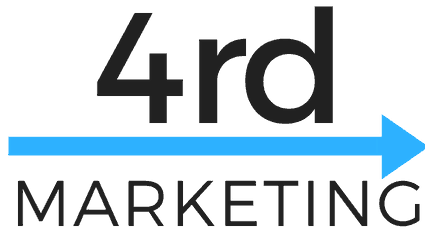 4rd Marketing now offers a full suite of digital marketing services. Local SEO (see below) – Most businesses have a gap in their Local SEO (Local SEO Guide). Similar to our SEO Consulting strategy, everything starts with a plan. Online Reputation Management (ORM)- Our local SEO tools collates your reviews into one dashboard so you can respond appropriate. In addition, we will assist you to get more reviews for your business. Youtube SEO – We manage your channel and optimize the video content to rank for your keywords. Podcating SEO | Itunes SEO – Itunes is a search engine. Just like we can optimize your webpage or video we can do the same for your podcast. SEM Services, Social Media Management, Production and Development Services. PPC Management – (Pay Per Click) We will manage you Google, Bing and Facebook ads for you. This is an add on for existing customers. Social Media Management (by request). This is an add on for existing SEO customers. LinkedIn Prospecting – With over 5000 connections, we can optimize your profile and begin lead generating for you. Production services – we can work with adobe products to edit your video and/or audio. These services are billed hourly. Our local SEO Services can include everything from local citation building and tracking (and syncing) to full on Online Reputation Management and Review Curation. See our Local SEO Page for more details or perhaps try out our free tool to get started. We see ourselves as problem solvers and lead generators for small business. While a lot of our focus is on SEO consulting, everything we do falls under the umbrella of digital marketing. In my mind if you want your business to get leads from the internet, you’re concerned with marketing. While we can do full marketing campaigns in what many see as traditional marketing, we believe that SEO is more cost effective for business owners that want to build long term growth. Our strategies to growth hack your company through SEO is extremely creative. We believe that this is a digital marketing effort even though SEO is often viewed as a technical process. Ultimately, our content is designed to be modular, in a sense having many different uses, not simply to increase rank but increase conversions, be shareable, etc. I guess that’s the engineer in our DNA. 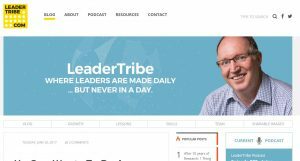 Some of our favorite digital marketing projects are where we have a “thought leader” in financial planning, real estate or leadership and are able to promote their content via podcast and video marketing services. Should your business need a website we can build you one from the ground up with SEO and ultimately ROI in mind. 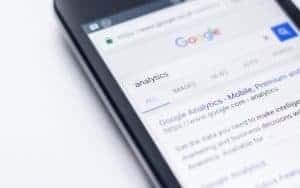 Are we the best Atlanta SEO Company that is actually doing SEO in Georgia? Honestly I think you should interview a few to figure out who’s right for your business. Real Estate SEO – with 15 years in Real Estate I’ve worked with 90% of the platforms out there from Real Estate Webmasters (REW) to commissions INC (CINC). I can tell you what they excel at. We also create websites for agents or can work in conjunction with your provider should you need it. Restaurant SEO – If you live in Atlanta you might be a foodie. I love the diversity of restaurants in Atlanta and it’s a joy to be an deliver SEO for Restaurants via Local SEO. SEO for Financial Planners – We have worked with financial planners to develop their brand and leverage seo for the financial industry. Insurance SEO – Many financial planners also sell insurance. We are familiar with the disclaimers and company rules needed for an individual or small firm to excel in SEO for Insurance. More on this coming soon. We will build you a website that you will own and depending on what’s needed for your real estate business we can do everything for you, to simply just creating an awesome seo for real estate website that generates leads that you create the content for.